GET UNDER THE DRUMBRELLA – THE FORECAST CALLS FOR ROCK. Austin, Texas transplant Justin Green (below) had planned on moving his family (and his recording studio) to Madison, but was swayed by talk of Eau Claire. Earlier this year in July, when the Texas summer was whipping up a full-on heat assault, audio engineer Justin Green and his family had enough. After living most of their lives in Austin, they figured it was time to head north – for good. The Greens knew they needed a final and swift reprieve from the trappings of the Lone Star State’s ever-so-hip capital city, but didn’t quite know exactly where they wanted to plant new roots. So they busted out the map, started crossing off states they weren’t interested in, and ultimately landed on Wisconsin. The original plan was Madison with its proximity to big-city music markets and healthy bustle, but when they started telling people that, they kept hearing more and more about a place called Eau Claire. Eau Claire ended up winning ’em over, so not long after, Justin, his wife Amanda, two children, two dogs, four cats, and two chickens all packed into one RV barreling out of the Live Music Capital of the World and rolling towards the Music Capital of the North. 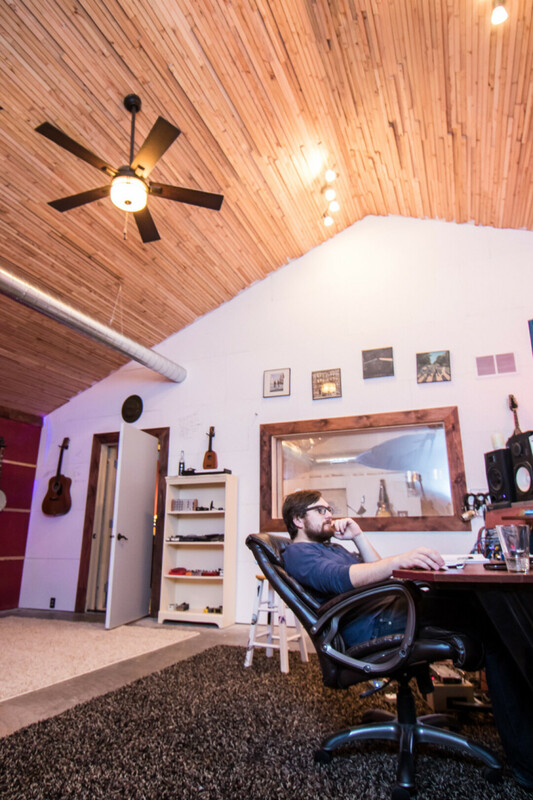 Justin packed up his budding recording studio, Toy Car Studios, which was starting to feel a little cramped inside their garage in the Austin suburbs, and started making blueprints for the next evolution of the business. Amanda, a registered nurse, found immediate work with Mayo Clinic. Everything was working out. They found a gorgeous property just north of Eau Claire in the town of Seymour, at the back of a long narrow driveway, nestled by trees. Justin said as soon as the deed was theirs, he had Al Sopiarz and his team at CS Construction erecting the new and improved Toy Car Studios building, directly adjacent to their new house. Where the Austin spot was deep in the thick of the hot suburbs, the Greens now find themselves with space to breathe in the Wisconsin northwoods, which Justin said helps his studio in unthinkable ways. Now, some three months later, the studio’s up, running, and operational. It’s a spacious, two-room facility packed with exquisite analog gear – Justin’s bread and butter. The control room walls are lined with guitars and records around a horizontal windowpane that peers into the live room, where most of the magic happens. 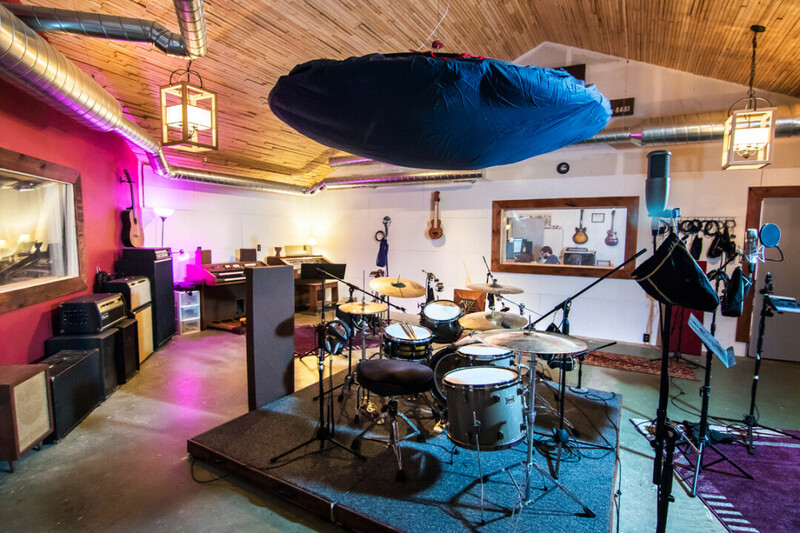 The live room is mathematically precise to produce dynamic live cuts, and it even has a huge “drumbrella” – made from a secondhand satellite dish and a bed sheet – which raises and lowers from the ceiling at will to help dampen the reverb in the room to produce the best drum tones possible. Toy Car Studios, as it stands now, is – and forever will be, probably – a work in progress. With evolving facilities like this, the work is never completely done. In the coming months, Justin hopes to add a brand new recording/mixing console, some stonework in the control room, and lots of other details. In addition, there’s talk of filming live in-studio sessions of local and touring bands with Blugold Radio, experimenting with different shows and events, and even hosting poker nights (Texas Hold ’Em only). But more than anything he wants to start connecting with the Eau Claire music scene, meet tons of musicians, and start to understand the scene’s nuances to figure out where he fits in best. To learn more about Toy Car Studios, visit toycarstudios.com or follow the studio on Facebook. To contact Justin Green and book studio time, email justin@toycarstudios.com.